HONOLULU – The Hawaii Department of Transportation (HDOT) Airports Division reminds travelers to be prepared before heading to the airport for Spring Break travel. The Transportation Security Administration (TSA) is anticipating more than 65.1 million travelers nationwide over the Spring Break travel season which began in March. While the TSA is prepared to effectively screen the passengers, HDOT encourages passengers to give themselves enough time to arrive at the airport, park, check-in, go through a security checkpoint, shop, and walk to your departing gate. 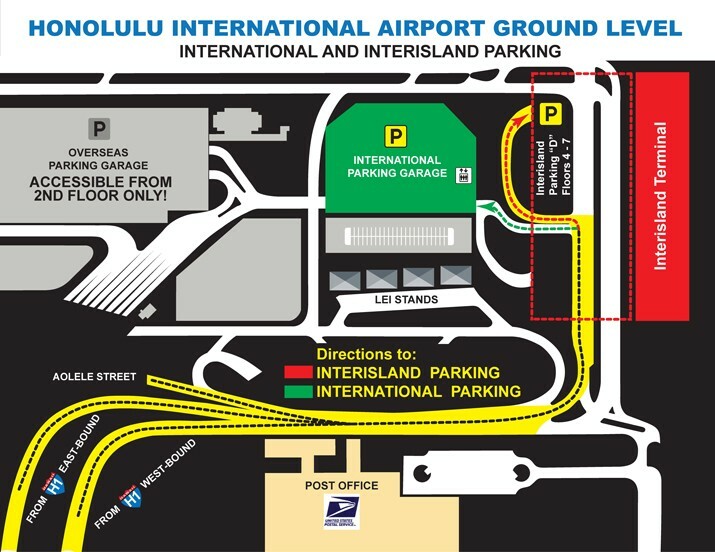 Honolulu International Airport passengers who plan to park at the facility are encouraged to use one of the 1,800 stalls within the International Parking Garage (click to view map). Historically the Interisland Terminal and Overseas Parking Garages fill up first during busy travel periods. Passengers may also consider getting dropped off curbside instead of parking.